With gentle thoughts of positivity, Angel Number 1119 tells you that you have done well with this phase of life and positive thinking and now must look to the new phase ahead that is presenting itself. This is created either from your own thoughts and emotions, or as a path created by your angels that will lead you to good things. This is all due to your own hard work at staying positive and energetic in times of trouble and fear. Angel Number 1 is a gentle reminder that your thoughts are what create your reality for you. As this appears three times, here, it’s best to keep this very prominently in mind. You must remember to stay positive and throw away your fears and worries. Create a good reality for yourself with this angel number. Angel Number 9 tells you that you must follow the path and bring other people to the light and positivity along the way. The angels will give you the strength and power to do this, so make sure that you trust them to allow you to show the positive path to others in your life. Angel Number 11 reminds us to focus on our soul mission whenever we wonder what to do. This is our basic goal in life and your divine angels are pointing towards it, even if you can’t see the path clearly like they can. Stay true to that intuition and you’ll end up successful in the end. Angel Number 19 is a reminder that you are never alone, even if you feel concerned and frightened. Focus on the light within and you’ll find that you are protected and loved by those who are helping guide you to your destiny. Angel Number 111 is a hint that you are focusing on the negative too much. Rely on your positive thinking and strength that you have used to get through all of the troubles that have stood in your way before. 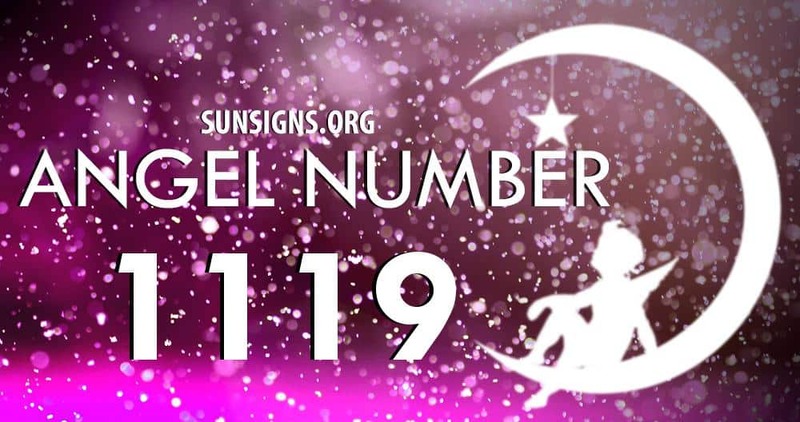 Angel Number 119 assures you that you will transform into a powerful and positive person as you get closer and closer to your soul mission. Angel number 1119 asks you to turn to this new chapter with positive thoughts, and you’ll get to experience better life experiences.